If it seems unlikely that a blue-collar Democrat could win the Idaho Governor's race, it was less likely in 1970. But Cecil Andrus, who was beaten twice in 1966, dusted himself off, a little smarter and more mature from the experience, and made another run in 1970. "I was a greenhorn and the state was Republican and I didn't sell myself the way I should have. We were fighting the old Democratic Party. A man by the name of Tom Boise and I didn't get along at all. He was more concerned about selling his influence as a lobbyist and a member of the Democratic Party in Iowa. He got (Charles) Herndon into the primary, a lawyer out of salmon and they beat me by slightly less than one vote per precinct," the Governor recalled. Shortly after Andrus lost the primary, Herndon was killed in an airplane crash. Andrus was enlisted to finish the race but ill-prepared, he lost his second gubernatorial campaign within just a few months of his first. But challenges proved to be an elixir for Andrus from the start of his political career which began in 1960, at age 28. "I am purely a political accident, a lumberjack from Orofino back from the Korean War," the Governor explained, "my wife and I had a small child and I felt that the elementary schools in Idaho's small towns couldn't compete financially with the big schools and I was voicing my opinion at a community meeting we had called to see what could be done for the schools and we had invited five-term Republican State Senator Leonard Cardiff." According to the Governor his political fire was lit the next day at the local hardware store which was run by the county's Republican Chair. "And I said 'that's right Bob.' And he said 'well, it's a good thing cause we'd have just beat the hell out of you.' And I said, 'well, we'll see about that.'" Andrus was elected State Senator later that year and held the office until his first unsuccessful run for Governor in 1966. Two years later he was back in the senate. "As I became involved in state government I became fascinated with it. There hadn't been a Democratic governor in 24 years and there was a small handful of us, they called us the young Turks. We were more moderate than some of the right-wing crazies and we set out to find someone to run. We tried presidents of colleges - they said 'no way!' So the boys said, 'Cece, you gotta run.' And I thought, 'by God I could be governor.' And as it turns out there were two people who thought I could be governor: me and Mom. And Mom got a little shaky about it a few times." His strategy hadn't changed much since his first run. He would win by barnstorming. Andrus enlisted the help of 24-year-old radio news editor John Hough. Together they drove across the state for months. "All the county fairs, all the community events, walking main street, all the barber shops, we just worked it, worked it, worked it," Hough recalled, "we also worked very hard to stay connected to the Idaho Statesman and its political writer, and the Lewiston Editorial page editor." Hough said that prior to their arrival in a town, he would write stories on his candidate, call it into the local radio station and report his story over the phone. Paying attention to local media became a winning strategy. "In my day, I spent more time chasing the weekly newspapers than I did the dailies," Andrus explained, "with the dailies, it's to the bottom of the birdcage and out the door. A weekly newspaper in a rural state like this was put on the kitchen table or the coffee table for a whole week and any story you got in there, they were exposed to it several times." "It never really evolved in my mind until later in the campaign, how dedicated he was to three or four issues that would affect Idaho, that inspired him to run for governor after losing twice in 1966. And choosing to run against an incumbent republican, who by all measure would have been expected to win. A more equitable education system, and one that made kindergarten a public service, was still at the top of the Andrus' list but a new groundswell was beginning to percolate: the environment. "Clearly he was one of the early environmental advocates in the West," Hough said. The bellwether issue was a proposed molybdenum mine in the most pristine wilderness in Idaho, the White Cloud Mountains. "First of all there was no compelling reason to build the mine," Hough recalled, "it was a surplus mineral and secondly, it put the crown jewels of Idaho, the Salmon and Snake Rivers at risk - so he just flat-out opposed it." Andrus' opposition to the industrial development of the state's natural resources drew the ire of the state's chambers of commerce, the mining industry and the power companies. "Idaho had the single largest primitive area and it's today known as the River of No Return Wilderness Area. Andrus was interested in preserving that core of protected land. He believed the future of Idaho was going to be driven by these lands and he used to say things like, 'someone comes to Idaho, enjoys the wild rivers, enjoys the lakes but then they go home. The costs for educating their children and providing those services are somewhere else.' If the environmental issues hadn't been central to the discussion, I don't think he would have won." Andrus focused his attention on heavily populated Ada County, home to the state capitol, Boise. "I figure, how you gonna win? I look at the 44 counties and I figured out where the votes were and I knew I had to carry 14 key counties," the Governor recalled, "I said, you gotta make a living, so we're gonna create more jobs other than just the extracting industries. Mining, timber and agriculture is not enough just by itself." Another key to his win, Andrus said, was an organization he built to attract crossover votes. "I put together an organization called Republicans for Andrus and that helped me tremendously because there were a lot of people in the education field that considered themselves Republican and I gave them a legitimate opportunity to maintain that they were Republican but they could vote for me. I would get the abstract of the vote in every county so I knew how many were normally republican, democrat, I knew where the votes were, I just had to sweet-talk enough of them. To the republicans I'd say, give me a shot and if you don't like what I do, kick me out in four years! And then I told them how I'd do it. I don't know how much they (the opposition) spent but in those days, but John and I, with our shoe leather, we outworked them." Adrus attempted to engage incumbent Governor Don Samuelson in debate. "He would never show up. Don was not very articulate. He was nice man but he was a lousy governor. That's what made it possible to seduce republicans. I wasn't supposed to win but guess what?" "The core memory I have of Andrus is his absolute consistency. When he was talking to a conservative audience he didn't change his message. He was very genuine about it. He didn't start out by taking a poll to find out what was popular. He went out knowing what was right and went out trying to convince people." When the votes were tallied, Andrus had defeated Governor Samuelson by the same number of votes by which he had lost to him four years earlier, 10,500 of approximately 300,000 votes cast. 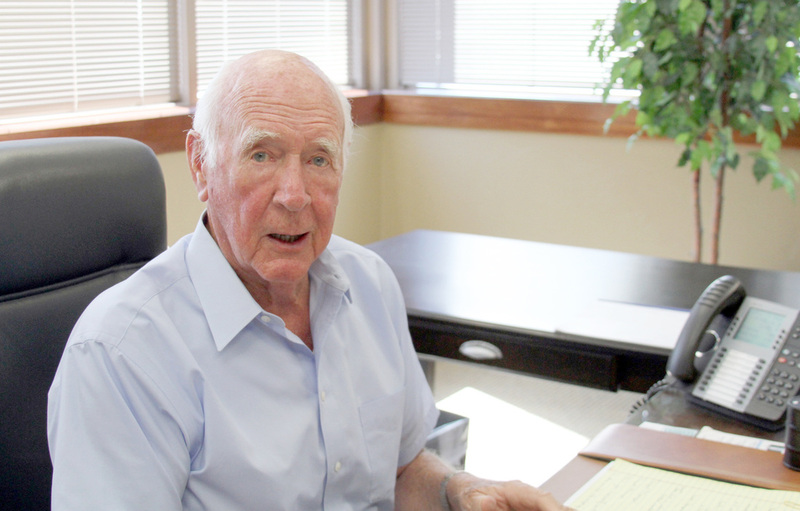 Governor Andrus reflected upon his inspiration to get into politics and offered some advice for would-be political servants. "In 1960 John Kennedy was running for president of the United States and he came to Lewiston, Idaho and made a speech. My wife and I drove down the river 40 minutes to listen to him and that's when I decided, 'well if that guy can be president of the United States…' Well, I was very impressed, he spoke with 'viguh' so I decided that I could certainly be elected to the state senate. "If someone wants my advice on a run I ask, why do you want to be governor? If you can't articulate why you want to be governor, well then you aren't going to make it. I don't endorse just anybody. You've got to tell me why you want to be elected and what you're going to do for the people. Lot's of times they'll say, 'I just want to make it a better place to live.' If they've got an idea on how to do that, well that's acceptable."